Compared to its previous year model, the 2019 Kia Sorento does not look much different. 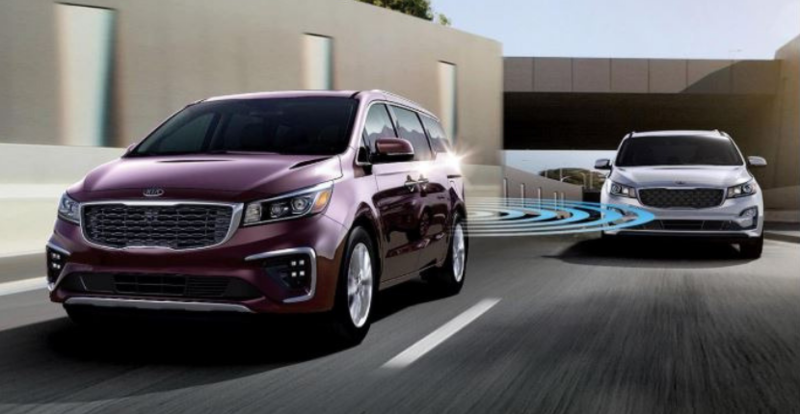 Although sight alone may not show how these two models contrast, the 2019 Kia Sorento includes many new and improved features not visible to the eye. The 2019 Kia Sorento is available in six trims: L, LX, LX V6, EX V6, SX, and SX Limited. All six trims come standard with numerous upgrades designed with the driver in mind. Some of these standard upgrades to the exterior include heated outside mirrors, LED turn signal indicators, and three trendy colors (sparkling silver, titanium silver, and ebony black). Additionally, the 2019 Kia Sorento contains a 3.3L V6 engine that produces 290 horsepower and delivers 252 lb-ft of torque. This V6 engine is paired with an 8-speed automatic transmission. Moving on to the interior, the 2019 Kia Sorento includes many useful upgrades. Not only is this three-row SUV outfitted in satin black cloth, but it can also comfortably seat up to seven passengers. Additionally, the 2019 Kia Sorento comes standard with a 7-inch touchscreen. This infotainment system also includes Apply CarPlay and Android Auto. Bluetooth wireless technology hands-free connectivity also comes standard with every trim to make driving safer. The 2019 Kia Sorento does not skimp out on any safety features. This SUV comes standard with lane-departure warning, lane-keep assist, driver inattention, fatigue monitor, forward collision warning, automatic braking system, stability control, antilock brakes, rearview camera, six airbags, locking fuel-filler door, smart shift and drive, and so many more safety features made to give drivers peace of mind no matter where the road takes them. 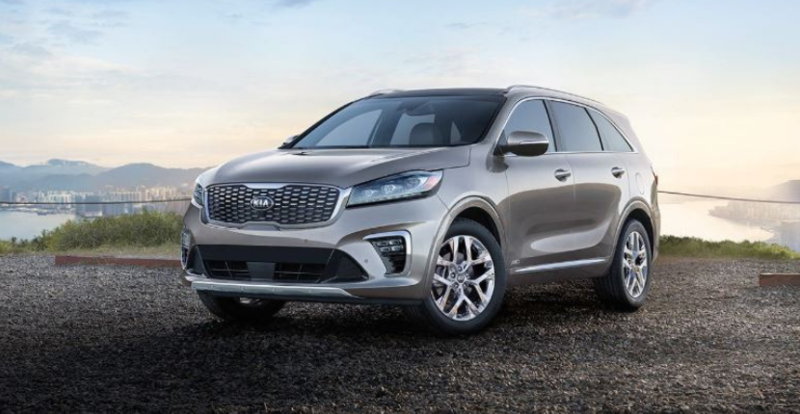 Click here for more information about the 2019 Kia Sorento, or visit your Antioch Kia dealership to browse the best selection of 2019 Kias on sale!